Dogs were first used in war by the Egyptians in 4000 BC. 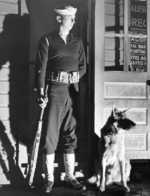 Although war dog training programs were reduced or canceled by the British and the Americans in the 1930s (but not the Germans, which was actually expanded in the days leading up to the European War), by 1942 dog training had picked up steam once again. During WW2, dogs were employed for a wide array of tasks, serving as sentries, as messengers, as propaganda pieces, even as suicide attackers. 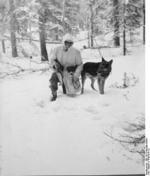 The below is a small collection of photographs of some of these four-legged participants of WW2. 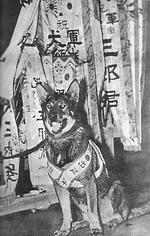 When the Japanese Army war dog Saburo was deployed to the front lines in 1937, he received all the encouragement and honor that a soldier would. As Soviet troops paraded in Moscow in 1938 to demonstrate their strength, war dogs were presented as an integral part of this particular unit. 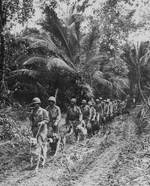 At Bougainville, these dogs accompanied their US Marine handlers in the humid jungles of the South Pacific in late 1943. Dogs had served as sentries far before WW2; this dog served in this very role with his US Coast Guard comrade. At Iwo Jima, messenger dog Prince watched carefully as his US Marine handler directed him to his next destination. US Marine war dog Dutch stood guard at a foxhole as his master caught a brief moment of rest during the fighting at Iwo Jima. These war dogs marched toward the front lines beside their US Marine handlers at Iwo Jima. 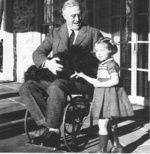 While the war dogs accompanied their masters in combat, US President Roosevelt's pet dog Fala seemed to be enjoying life of a much slower pace as this photograph was taken in 1941. Like most pet owners, Hitler treated his German Shepherd dog Blondi as one of his favorite companions. When the Soviet troops neared Berlin, he feared a Soviet capture of Blondi so much that he ordered her to be killed shortly before he committed suicide. Did you enjoy this collection? You may wish to check out the other photographs in the WW2 photo gallery. Really loved it? Please consider sharing this page with others using the "Share this article with your friends" links below, thanks!